At Skach Manufacturing Company, we successfully convert screw machined components to the cold forming process. It is rare to simultaneously reduce costs and improve quality, but that is precisely what our team was able to do in the highlighted project. The part pictured is a brass stud that is inserted into a plastic molded electronic switch. 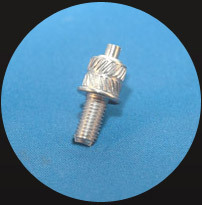 The customer was using a screw machined stud but the part was not able to meet the specified torque requirement. Working with the customer, we revised the design of the stud for cold forming and two secondary operations. We produced a stud which met the torque specification and provided a significant cost reduction. Several other studs were also converted to cold forming, which has provided additional savings to the customer. Coupling this design work with Skach’s inventory management system, we were able to provide quality studs, on time, and at competitive prices. For additional details regarding this stud see the highlights below. 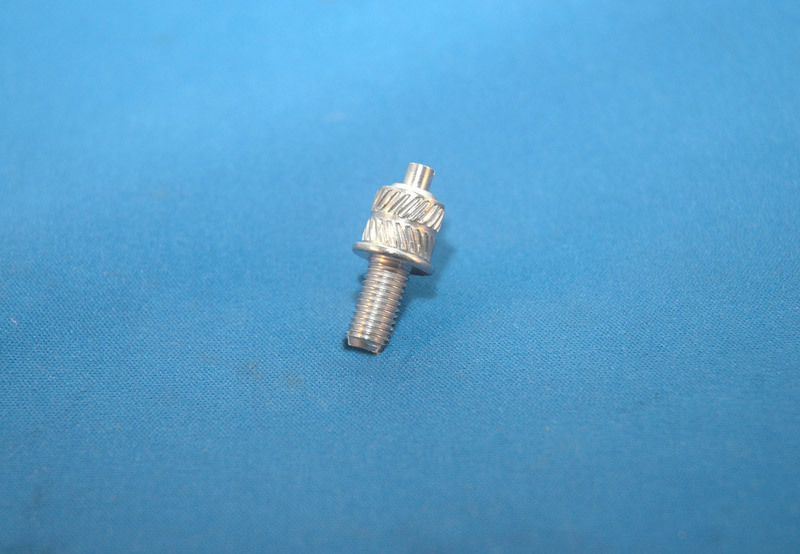 Contact us directly if you have a screw machine part that might be a candidate for our cold forming process. Forward a sample part or a drawing and we will promptly evaluate the feasibility of the conversion process. Cold Forming conversion of a screw machine part with multiple secondary operations.